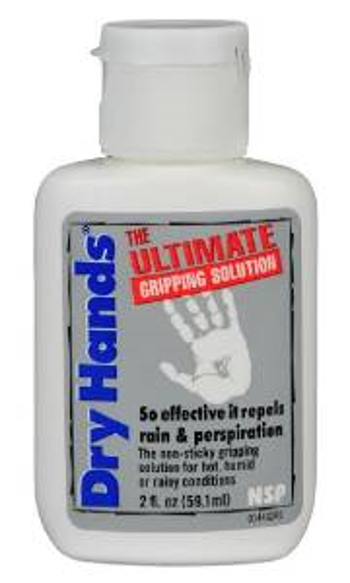 The ultimate gripping solution, Dry Hands effectively repels moisture and perspiration - a non-sticky liquid which provides an excellent grip no matter how hard you work. Available in 2fl.oz. (59ml) bottles.